L. Ron Hubbard, Founder of the Scientology religion, aimed to bring his discoveries about the mind and the spirit and life—the Scripture of Scientology—to all people in all languages. Toward that aim, the Church is growing at an unprecedented rate, faster than at any time in its 60-year history. Spurring the expansion—completion of a monumental project to catalog and certify the religion’s Scripture and codify its spiritual processes. The work was carried out under the header of two projects: Golden Age of Knowledge and Golden Age of Tech Phase II. Together they represent millions of hours of work coordinated by Mr. David Miscavige, Chairman of the Board Religious Technology Center (RTC), a body entrusted by Mr. Hubbard before his death to preserve the integrity, purity, and veracity of Scientology Scripture and to carry it forward into the modern age. The projects began with an investigative effort to track down all of Mr. Hubbard’s written and recorded works—ultimately found in far-flung parts of the world, dark corners of forgotten basements, and everywhere in between. Once located, Golden Age of Knowledge verified all the materials for authenticity and content: Were the works just as he wrote and recorded them and intended them? RTC also saw to the restoration of materials, many of which were badly compromised, having been carelessly recorded half a century ago, or, for example, in the form of handwritten notes transcribed by a typist with an inclination to tinker. On finishing, for the first time in history all of the fundamental works of Dianetics and Scientology—18 written volumes and nearly 2,500 recorded lectures—were compiled and complete. In Scientology, a hierarchy of Churches provides different levels of religious services. “Ideal Orgs” offer beginning and intermediate services. “Advanced Organizations,” as the name implies, offer the higher-level Scientology courses and spiritual counseling. “Saint Hill Organizations” provide advanced auditor training in the form of the Saint Hill Special Briefing Course, so named because it was established and first delivered by L. Ron Hubbard at Saint Hill Manor near East Grinstead, Sussex, England, in the 1960s—then the Church’s international headquarters. In the last decade, more than 40 new Ideal Orgs have opened their doors in major cities and cultural epicenters on four continents. Major new churches were added to that roster in 2014, in Sydney, Australia, Los Angeles, and Copenhagen, Denmark. The historic Sydney Ideal Church building was meticulously restored and adapted to 21st-century use. It now serves residents from all over New South Wales. In May, the Church of Scientology in Sydney, Australia completed its transformation into an Ideal Organization. Like all Ideal Orgs, the Sydney Church has a dual purpose: providing Scientology religious services to parishioners in an “ideal” environment, and serving as a point of coordination and outreach for church-sponsored community programs. Situated in Sydney’s Harbor City, near the iconic Sydney Opera House, the historic building housing the Org was fully restored in its Ideal remaking. Two floors were added in the renovations, to accommodate both the religious programs and services delivered there, and the work of Church-sponsored drug education and human rights initiatives in Australia. These include the Drug Free Ambassadors program, which encourages young people to pledge to remain drug-free, and Youth for Human Rights. The new Ideal Organization in Sydney, like all Ideal Churches, has a public information center where visitors are welcome to take in multimedia displays introducing the concepts of Dianetics and Scientology. Religious services at the Sydney Church are provided in course rooms configured specifically for the study of Scientology and Dianetics, and for distraction-free spiritual counseling. A Chapel hosts Sunday services, weddings and naming ceremonies, and Church outreach activities. Los Angeles is home to a complex of new Scientology Ideal Organizations dedicated in 2014, serving the oldest congregation in the religion, established in 1954. Ideal Pacifica Bridge, March 8, 2014. Parishioners may browse the bookstore in reception. Students at the Advanced Organization study in aesthetic course rooms. The Atrium is a venue for congregational meetings, workshops and lectures. There’s actually a trio of new churches in L.A., known collectively as the Ideal Pacifica Bridge. In addition to an Ideal Organization providing introductory and intermediate services, there’s also an Advanced Org offering higher-level religious services and auditing, and the American Saint Hill Organization, where parishioners may enroll on the Saint Hill Special Briefing Course. All three organizations are situated on L. Ron Hubbard Way, named by the City of Los Angeles in honor of the religion’s Founder. The Ideal Pacifica Bridge maximizes the accessibility and workability of Scientology courses, services and counseling. Tracy Repchuk, a Scientologist doing services at the Los Angeles Advanced Organization, moved to California with her husband and children from Toronto, Canada, to study there. In just a few months since her arrival, Repchuk, an Internet marketing and social media speaker, has progressed markedly in her Scientology services. “I wanted to move through my studies and counseling fast,” Repchuk said, “and here in Los Angeles I’ve been able to do that. All the Scientology services I want to do in the immediate future are offered here on one street. This is one of the only places that is possible,” she says. Europe’s Advanced Organization and Saint Hill welcome Scientologists from across Europe and Asia. All seven floors are devoted to delivery of advanced Scientology services. The courtyard is a popular gathering place for events and workshops. The site of the third major opening of Scientology Ideal Organizations in 2014 was Copenhagen, Denmark. Here the Church dedicated an Advanced Organization and a Saint Hill Organization for Europe, to train auditors from the EU, the (Russian) Commonwealth of Independent States and the Middle East. The organization in Copenhagen was originally established by Mr. Hubbard in 1969. Its facilities—recently reimagined and refurbished to Ideal—are in the heart of the city, neighboring the City Hall Square and Tivoli Gardens, and just minutes from the famed Walking Street. 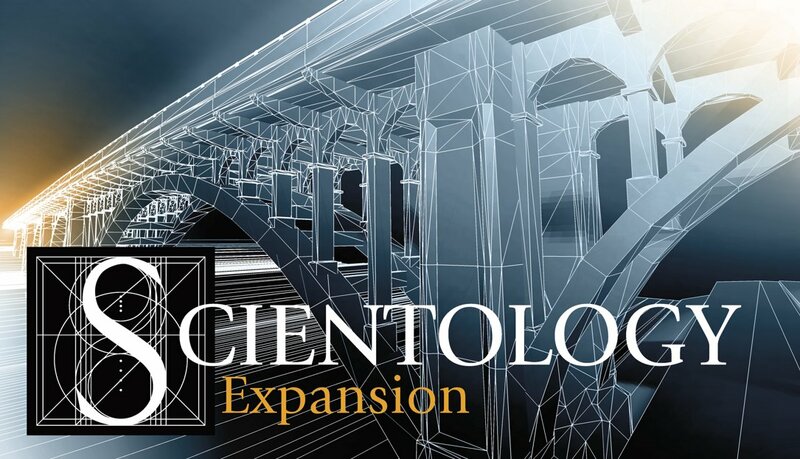 Church expansion in the city of Copenhagen also included the establishment of a Church of Scientology Ideal Continental Liaison Office housing Church management units for every sector of Scientology activity in the same regions—Europe, Russian Commonwealth, and Middle East. It stands on a three-acre campus in Denmark’s Glostrup Commune, 20 minutes from the center of Copenhagen. Ideal Continental Liaison Office for Europe, October 25, 2014. The Continental Liaison Office welcomes Church and Mission executives, ecclesiastical ministry staff, and representatives of every sector of Scientology for conferences and training. The new Ideal Continental Organization for Europe houses regional Church management and a translations unit that produces Scientology materials in 50 languages. The Continental Liaison Office houses state-of-the-art studios for producing audiovisual materials for distribution throughout Europe. The campus is also home to the Church’s largest translation unit, which expands the translation capacity of Scientology materials from 17 to 50 languages. These new Ideal Organizations in Sydney, Los Angeles and Copenhagen join the Scientology religion’s 11,000 Churches, Missions and groups in 167 nations, in representing continued progress toward L. Ron Hubbard’s goal of bringing the benefits of Scientology to all the people and communities of the world.